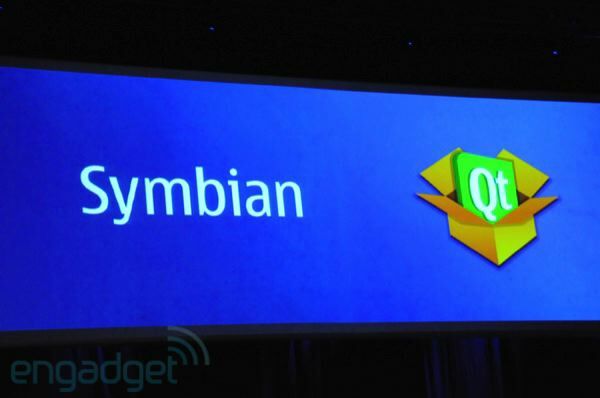 Got an itch that only Symbian can scratch? 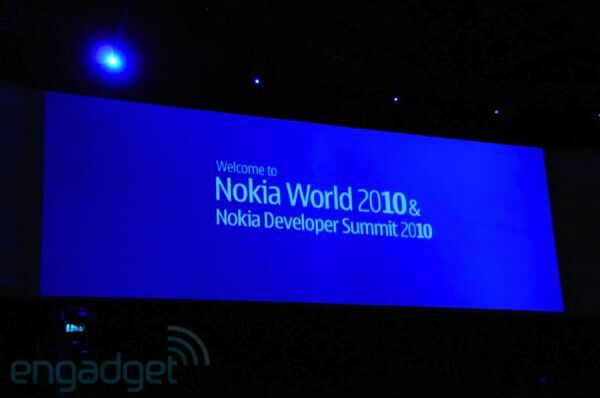 Then pull up a chair and get ready for a deep tissue rub down and Espoo mud pack, we're coming at you live from Nokia World 2010 in London, ready to bring you anything that Nokia chooses to dish up with the launch of its Symbian^3 OS. 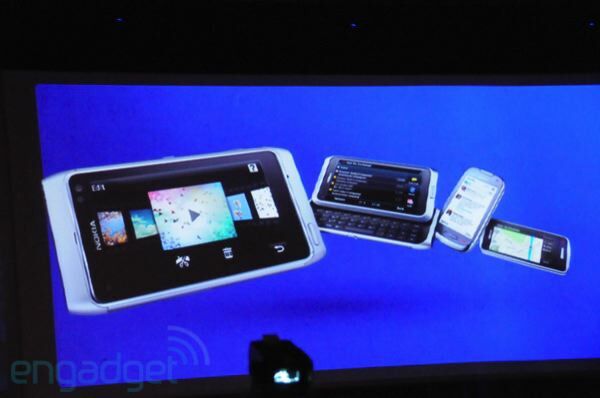 Question is, will we see any MeeGo devices or will this be an S^3 only event? Stay tuned, it all gets going at 0900 London time. 10:54AM "The main job of our network today isn't voice, it's to entertain our customers." In other words, data. 10:52AM Vittorio's talking up the Vodafone network and how it can help developers. Privacy, security, and network speed / quality of service. He's droning on and on about "important activities." Hey Vitto, just provide us a fast pipe and we'll be fine, mkay? 10:42AM "In my own personal market research, what I have seen is normal people booking cars from the beach on their personal mobile devices. People booking tables at a restaurant, normal people at normal restaurants." Checking maps, reading news, wind forcasts for wind surfing. "We're not talking anymore about the high end, we're talking about real life." You can see where this is heading -- right into Nokia's strength in the middle of the market. 10:37AM Vittorio Colao, Chief Exec Vodafone, taking the stage. 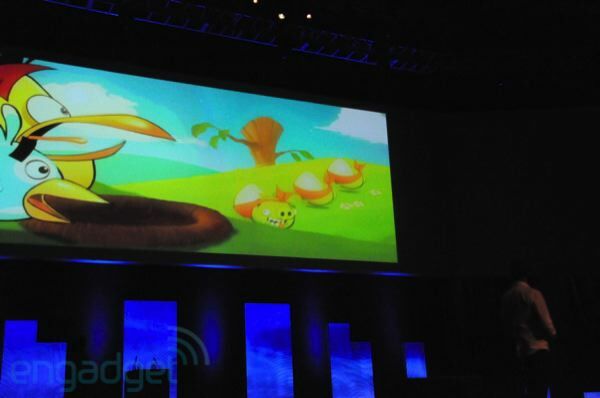 10:32AM Angry Birds will be installed on all Symbian^3 phones starting with the N8. 10:32AM Angry Birds "Mighty Eagle" is an in-app Ovi Store purhcase that can instantly clearly any single level. This is the end of games as a commodity and the beginning of games as a service. 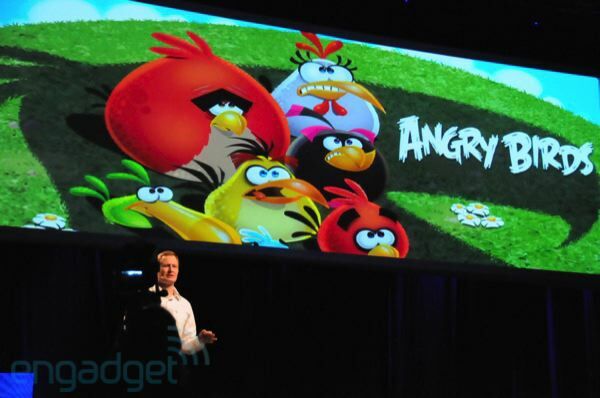 10:27AM Mikael Hed of Rovio (developer behind Angry Birds) is on stage. Describing how it works. "Angry birds puts you in charge of some very angry birds..." Is this really necessary? "Using a slingshot, you send the birds through the air to smash the pigs..."
10:25AM Ovi Store update. 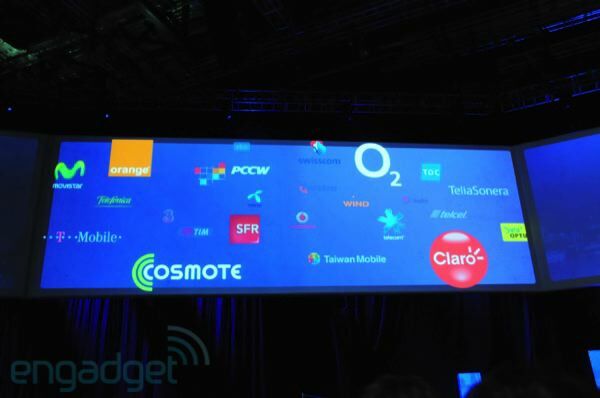 190+ countries, 120+ nokia devices, and supports credit card and operator billing. "Given a choice, consumers choose operator billing 2 out of 3 times." 10:18AM New Nokia browser. WebKit enabled. Renders web page "as good as any other browser on competing platforms." Also updated for touch, natch. 10:16AM More dev talk. Not really our bag. Talking about Qt for native development and Web SDK for web apps. 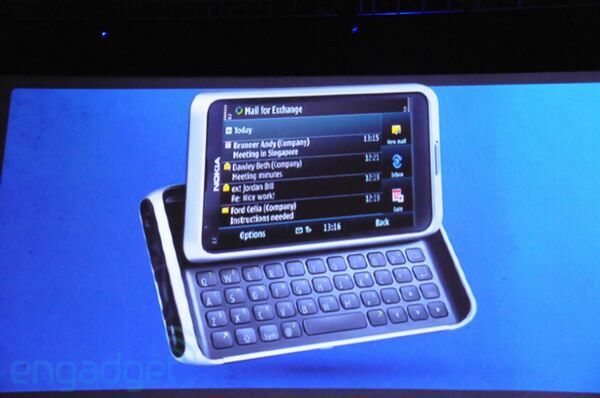 10:11AM "Nokia is offering the Java SDK to series 40 touch and type devices -- the industry's first SDK for featurephones." 10:09AM "Silicon Valley remains the center of the development universe. Our developers, all of you, can reach the largest number of users via feature phones. 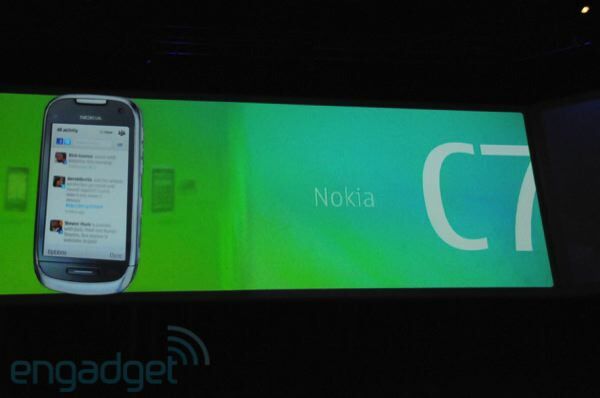 Last year Nokia shipped 364 million phones." 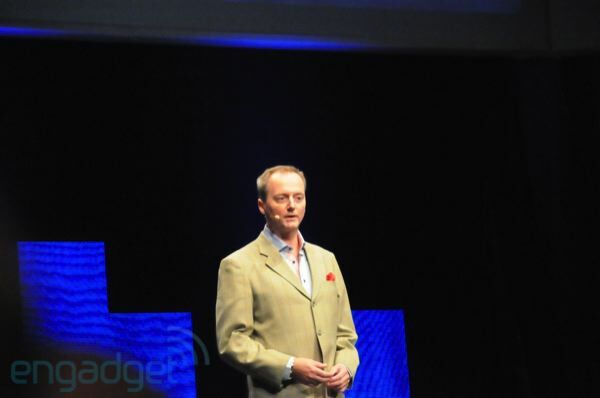 10:05AM When I travel the world as a representative of Nokia, "I feel like a rock star. When I return home to Silicon Valley, not so much." 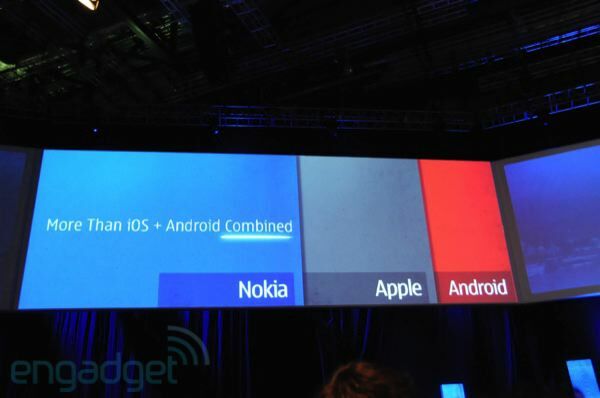 That got a chuckle given Nokia's poor performance in the US. Purnima is now addressing developers directly, given them reason why they should stick with Nokia including development platform and milllions of customers. 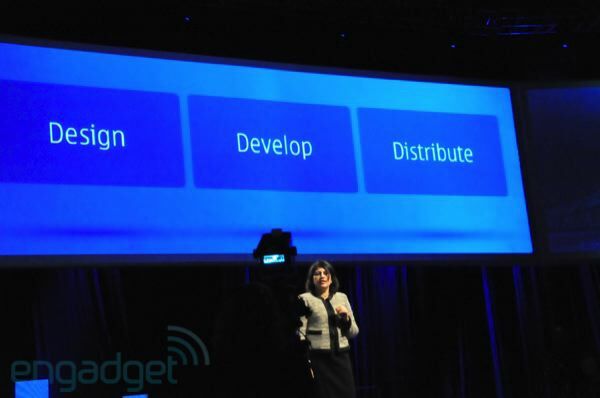 10:02AM Purnima Kochikar, Vice President, Forum Nokia & Developer Community, took the stage. 10:01AM Anssi thanked everyone for the last 20 years. He's off to loud applause. End of an era there. 10:00AM "There you have it. 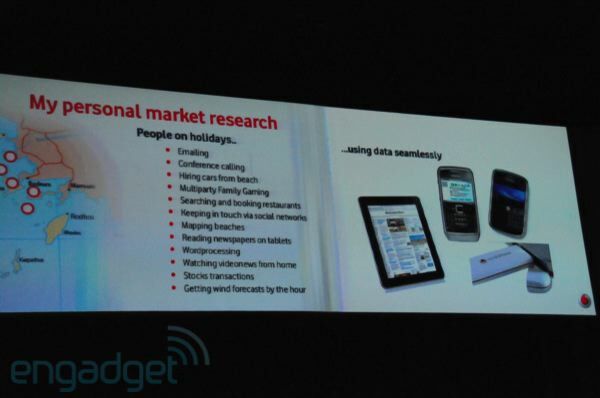 Smartphones for smart people!" Anssi is running down the foursome one more time. 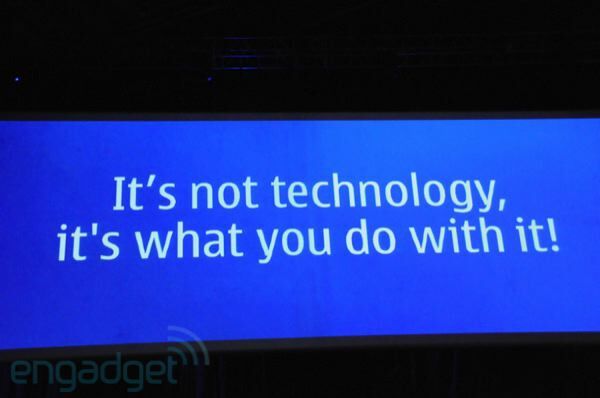 "It's not technology, it's what you do with it." 9:59AM Anssi talking about Nokia's green iniatives now. "We have the greenest portfolio in the industry." We'll see if Greenpeace agrees. 9:57AM "It's the best business class device ever produced by Nokia or anyone else. Hands down. It's no problem to have many apps running. At the moment, I have 25 apps at the same time on my N8. That's what we call real multitasking." 9:56AM Today we get the followup to the E90. 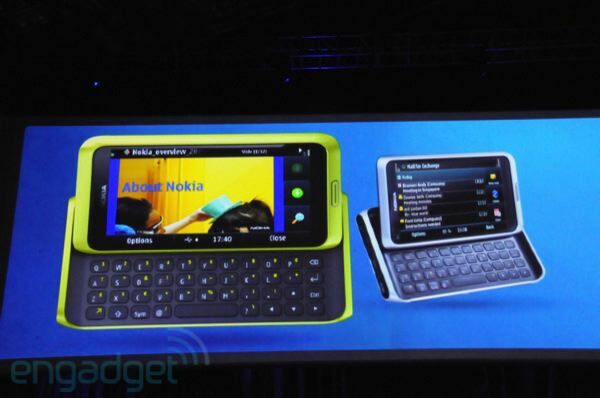 It's out, Nokia E7! "It's big!" He says with a smile. "But it's also beautiful and thin this time." 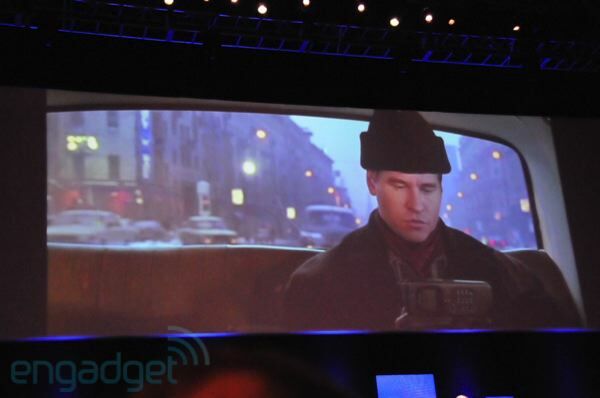 4-inch display. "Nothing beats a real keyboard because we're not just consumers, we're also producers." Tilting touchscreen display. Again, "It's biiiig." An office on the go with the ability to create PowerPoint slides. "Working with Microsoft is somehow easier now." A nod to their new CEO. Chuckle. 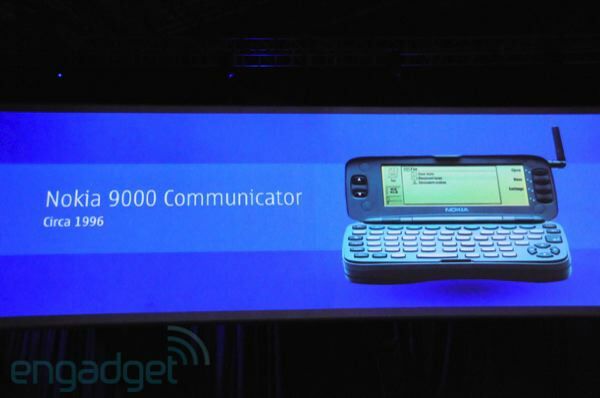 9:53AM Here we go, a followup to the Communicator first introduced in 1996 (the 9000). Takes us back. Video of product placement The Saint. Oh Val. 9:50AM Anssi going on about Ovi maps and social networking capabilities of C7 and C6. 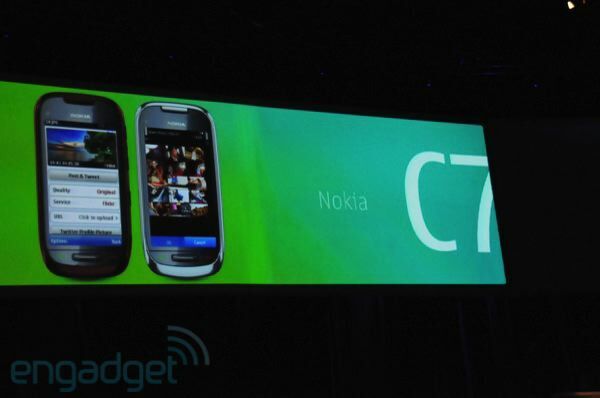 "C7 and C6 will make it more fun to stay connected. Both shipping Q4 of 2010." 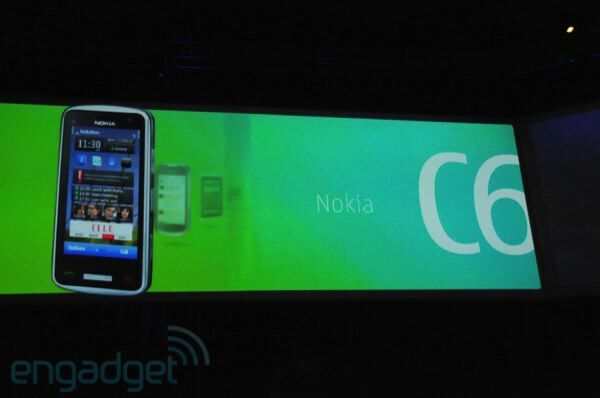 9:48AM C7 is the sleeklest slimest device in the world "No doubt about it." 9:47AM C7, the thin cousin of the C6. Built for social networking on the go. Same camera but larger 3.5-inch display and more memory and stainless steel body. 9:46AM First up, C6. 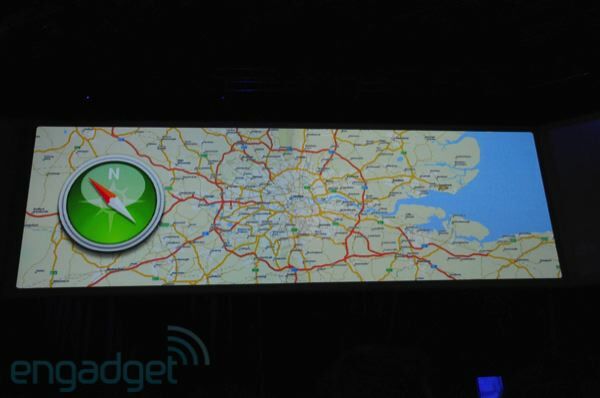 8 megapixel camera, free walk and drive navigation. 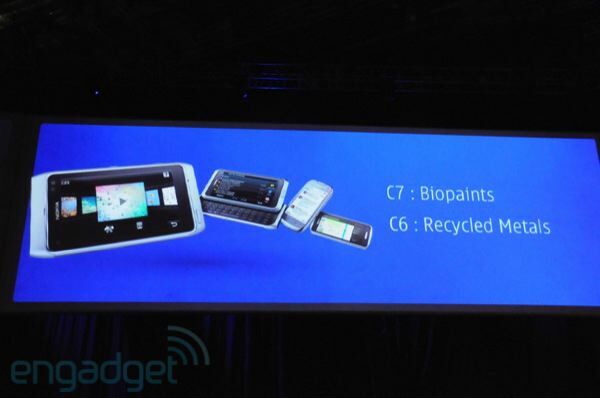 The C6 has something no other device has, "CBD." 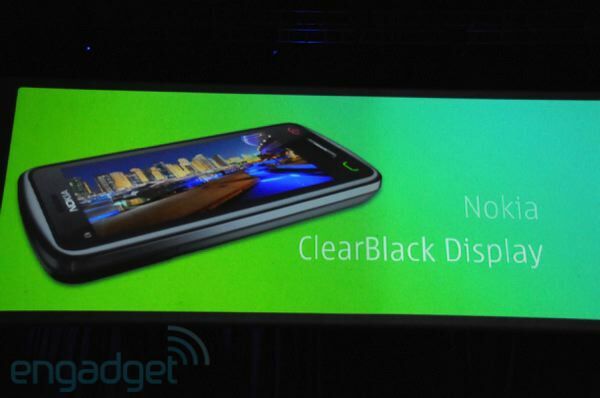 Nokia Clear Black Display. The background is "blacker than black." Okkkkk, Anssi. 9:44AM New devices! 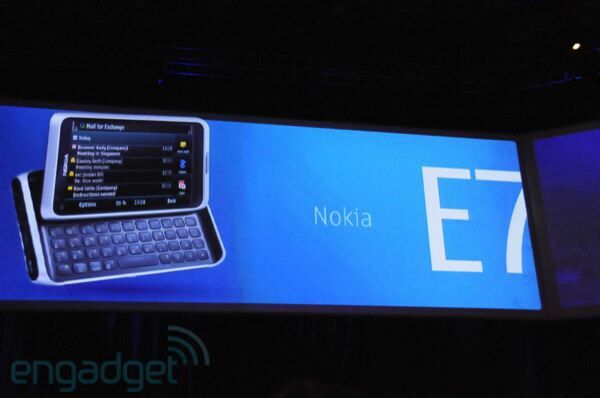 We see the QWERTY version of the N8, the E7? We'll see. 9:44AM "N8 is not about the MHz or GHz." A comment directly related to the ARM 11 processor criticism the N8 has received. 9:43AM Demo time. Tron trailer playing from N8 onto the big screen over standard HDMI. 5.1 surround is impressive in this auditorium. That got applause. 9:41AM Touting the N8's camera now. 12 megapixels, mechanical shutter, Carl Zeiss optics, "the result is photography that is absolutely amazing." 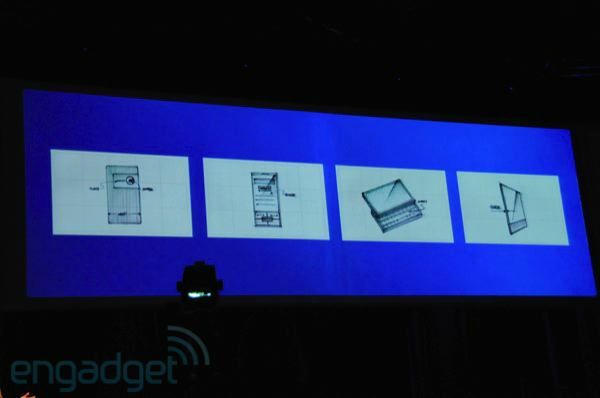 The N8 features the "largest sensor ever used in a phone-like device." 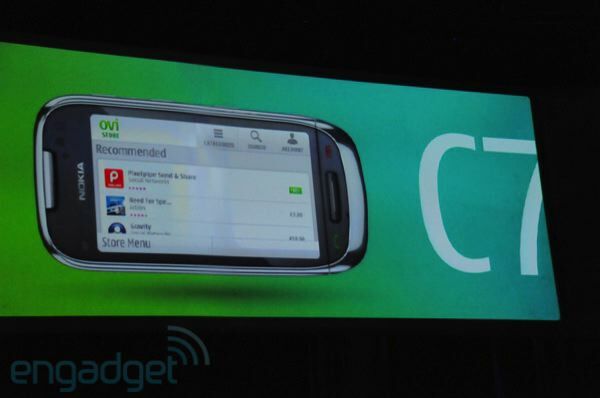 Anssi calls the N8 the best "entertainment smartphone ever." Anssi's being really emphatic with his delivery. He knows this is his last Nokia World and he's not going out without a fight. 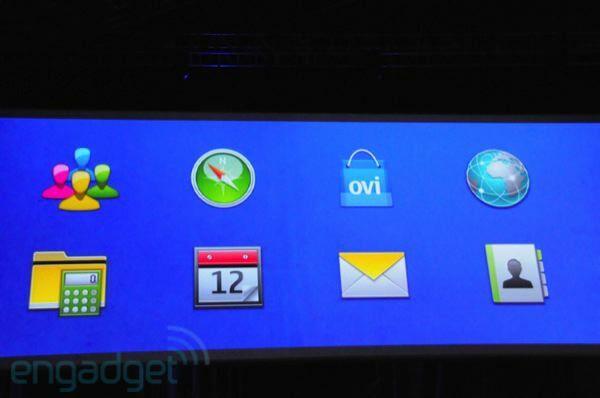 9:39AM Anssi is waving the N8 on stage now. 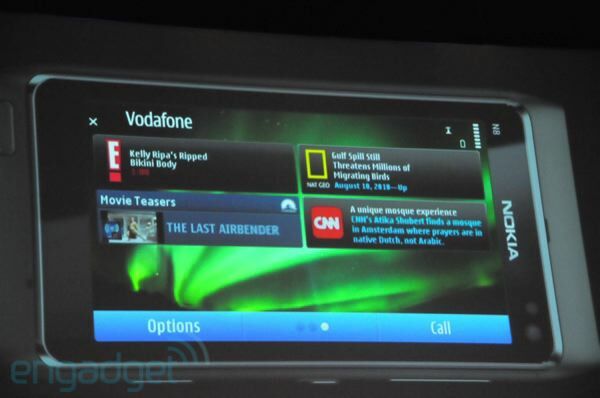 "World class hardware with new user experience. It's the start of something truly big." "Preorders for N8 have been strongest for any device we've ever brought out." That's good news for Nokia. 9:37AM "The new Symbian is faster and easier to use while maintaining the logic, the familiarity of the new, that Symbian users love." 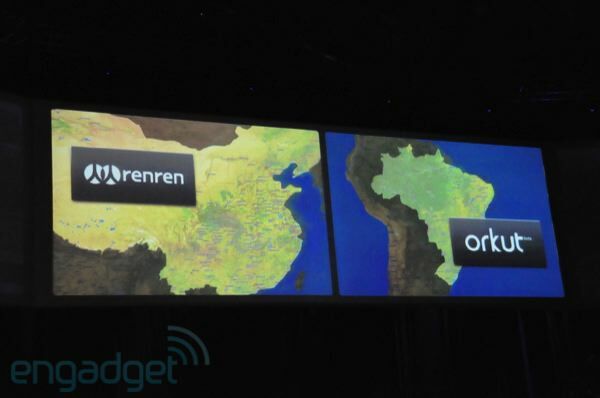 Talking about Qt SDK now for developers. "We have greater platform consistency." 9:36AM "I'd like to get something off my chest. 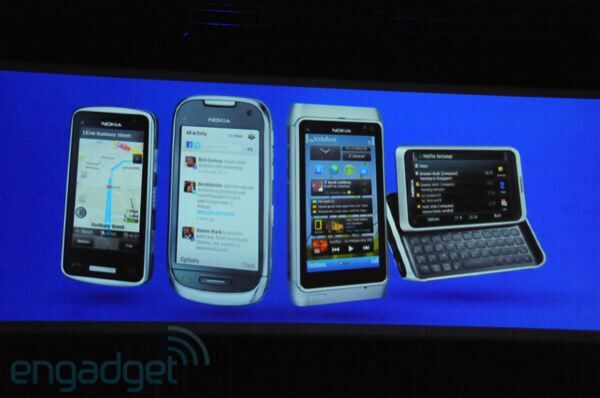 Some critics have looked at the first screenshots and said, 'It's the same old Symbian!'" Adding, "They have to look under the hood to see what it can do!" Anssi is fired up. 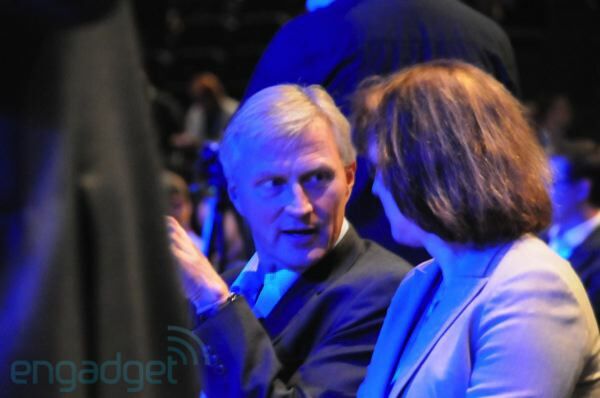 9:34AM Anssi: "Yes we have taken a few knocks in the past few years but we have positioned Nokia for the future. Some are deserved, but we're here to look to the future." 9:33AM "We will not make any MeeGo product launches today. More on that before the year is out. Today is about the here and now, it's about three words. Nokia. Is. Back." Applause. Here comes Anssi! 9:33AM "By 2013 800million people will be using GPS-enabled devices. 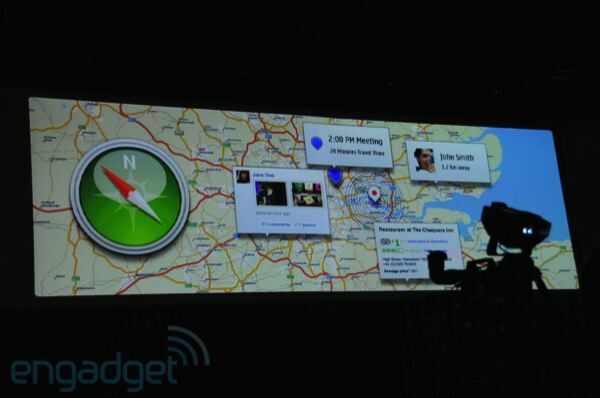 Soon, everything on the Internet will have a location coordinate. This is a space we intend to own." 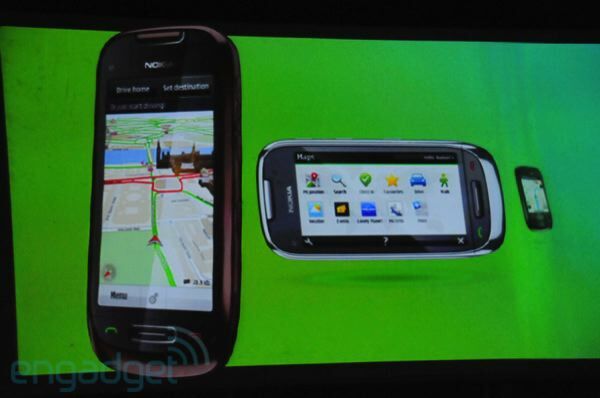 9:31AM "Nokia, not Google, leads in navigation services." Niklas is spending a lot of time comparing Nokia to the competition. They are clearly tired of the criticism. 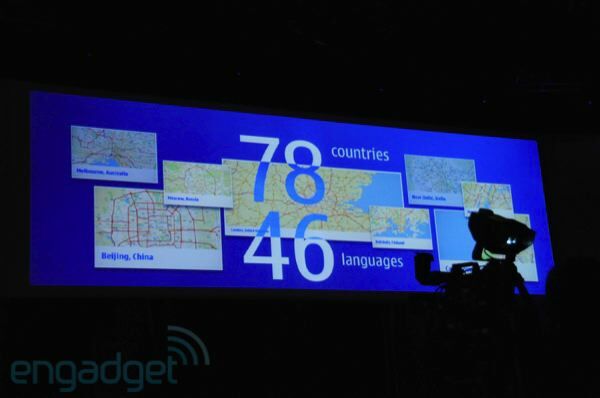 Nokia Maps now avaiable in 78 countries and 48 languages. 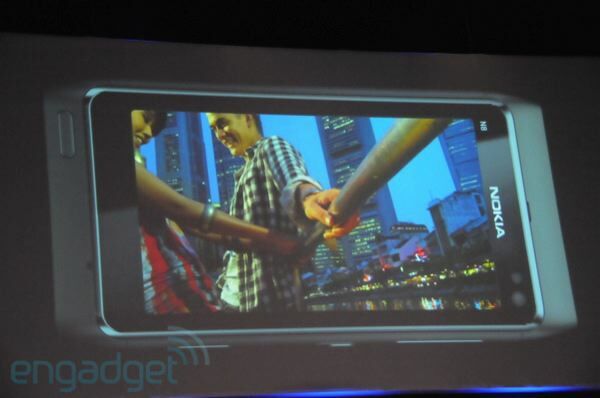 9:28AM "100 operators in dozens of countries have signed up to offer the Nokia N8. The N8 offers style, innovation, good value, and performane. They perform day in and day out no matter how you hold them." That got a chuckle. 9:26AM "Today we shift into high gear in the fight for smartphone leadership." Ooohh, do tell Niklas. 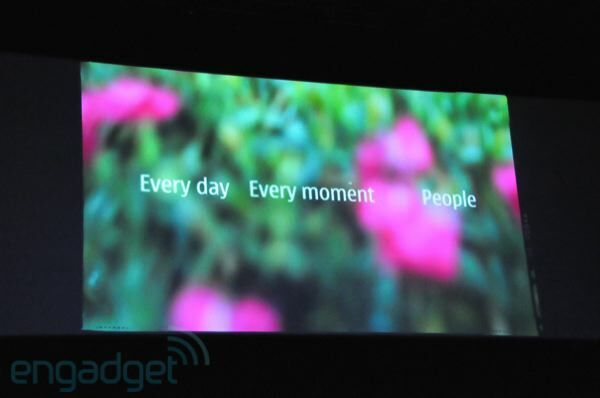 9:25AM "We will continue to offer a variety of devices to meet different needs and budgets. Nokia users expect nothing else." Niklas "One more thing." Smiles. "In the last quarter, people bought a lot more smartphones than iOS and Android combined." 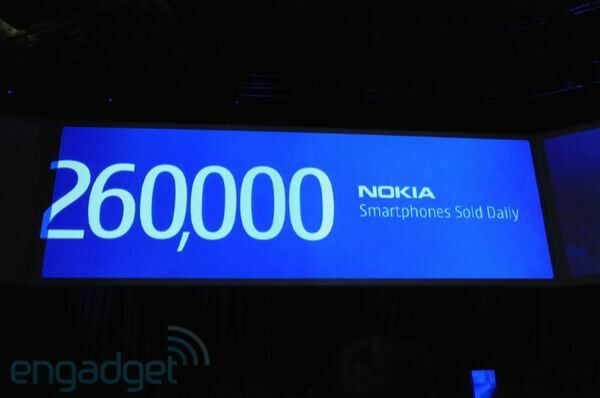 People buy 260k new Nokia smartphones everyday. 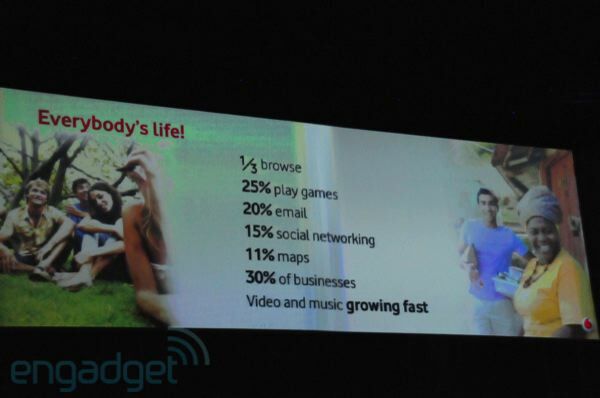 "That's more smartphone sales than any other company by far." 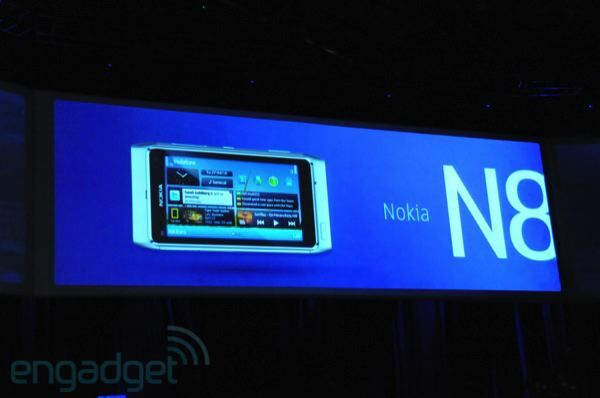 9:23AM "Yes, Nokia is undergoing a tough, challanging mission. We're not going to apologize that we're not Apple or Google or Samsung. We are Nokia and we are unique!" Silence. 9:22AM "Recently, one of our competitors had a launch where one executive had this to say." 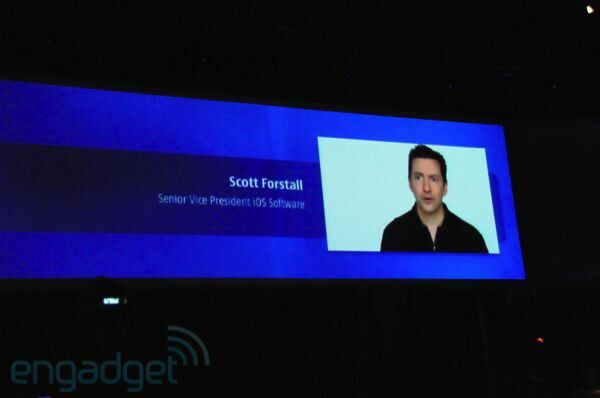 Showing Scott Forstall "it's all about connecting people." Applause. "Connecting People is more than a tagline at Nokia, it's our mission." 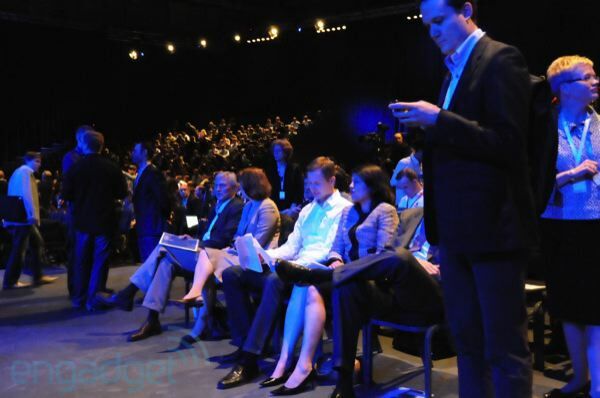 9:21AM "Nokia people are participants in life, not spectators. 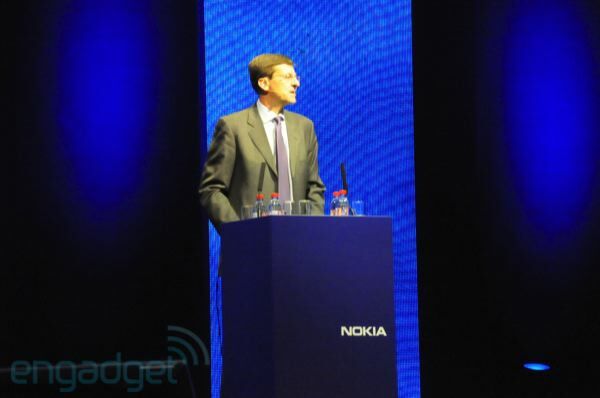 What we really do at Nokia is help people grab life's experiences." 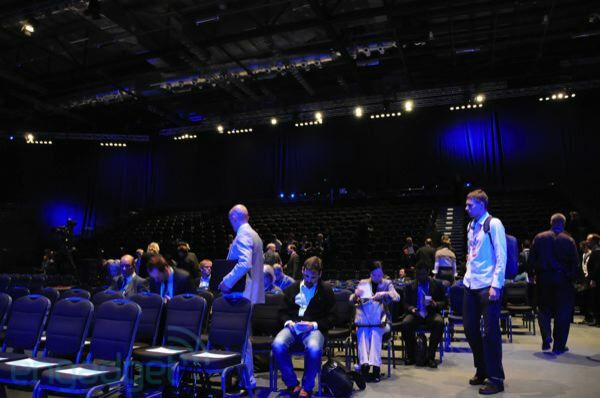 Nokia World is sold-out. 3,000 people in the house, analysts, press, developers. Our greatest fans and harshest critics. "This is what makes this event so valuable." 9:19AM Booming base showing people in all stages of life, everyday people, every moment. 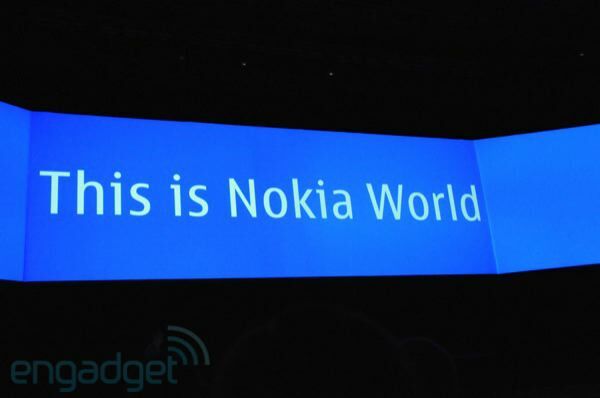 "This is the new world, this is Nokia World. Nokia Connecting People." 9:17AM Stephen Elop will not be here today but he "looks forward to leading this great company. 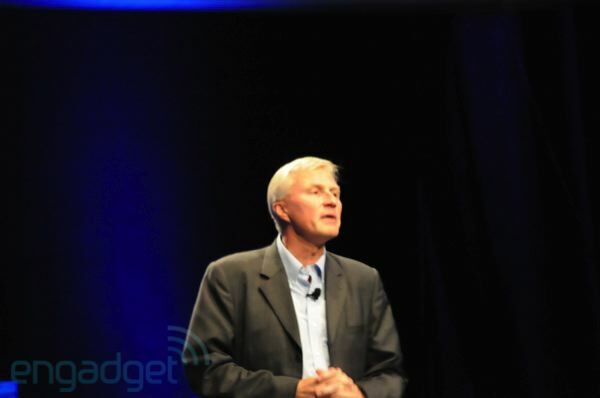 Nokia owes a great deal to OPK for his contributions over a 30-year career. With that said, on with the show!" Video time. 9:16AM Niklas Savander takes the stage. 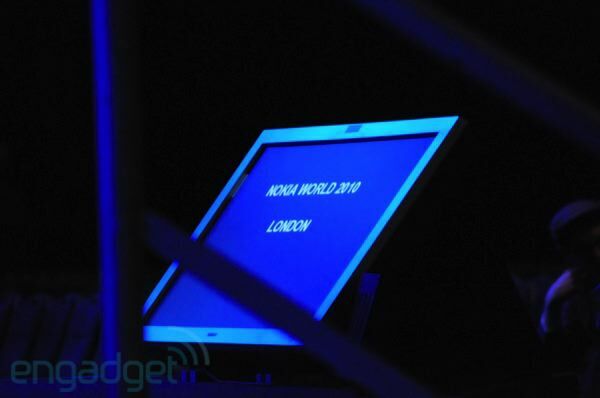 "Thank you and welcome to Nokia World 2010." 9:15AM "Please take your seats." Looks like we're about to start. 9:10AM "We will be starting in 5 minutes." A lot of people still getting registered outside the keynote area, apparently. 9:05AM Announcement: "we'll be starting a little later." In the mean time, why not play name your favorite Nokia executive. It's more fun than a bag full of Salmiakki. 8:52AM Anssi Vanjoki's here regardless of his "short-timer disease." Maybe Stephen Elop will make a surprise appearance to rally the troops. They could use it. 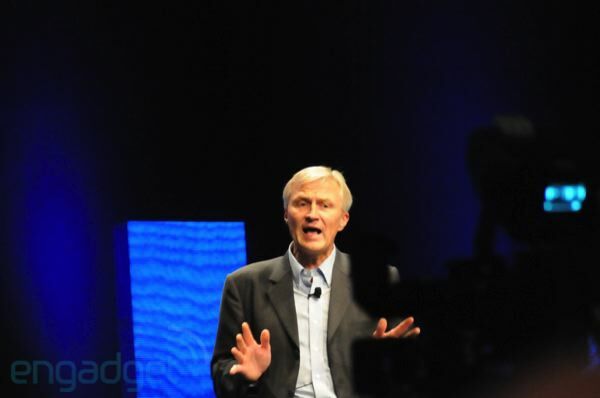 Many we've spoken to feel "gutted" by Anssi's unexpected announcement to leave Nokia. 8:46AM Room is starting to buzz. Press is seated and the doors have opened to developers. Soothing whale song fills the air. 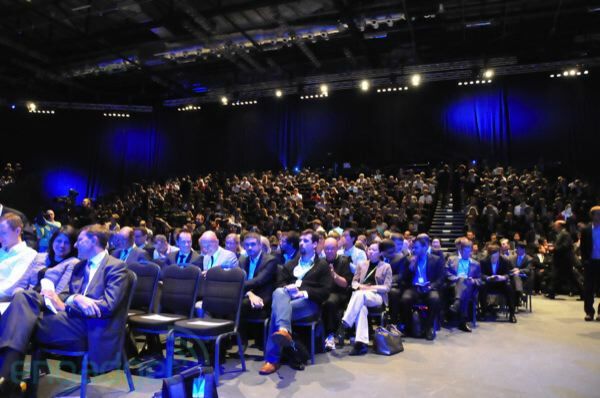 8:42AM Excel London is huge. 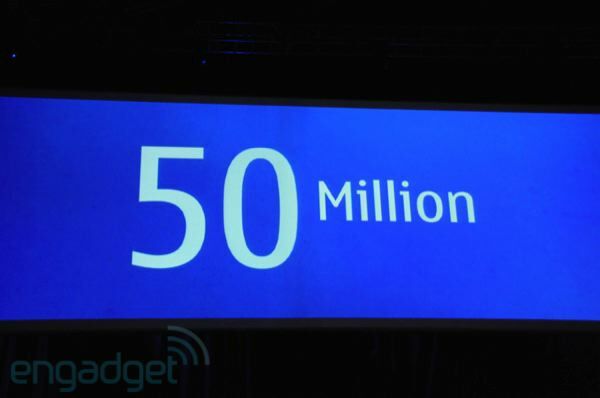 Nokia tells us to expect a few thousand developers. Let's see if they can fill the room.